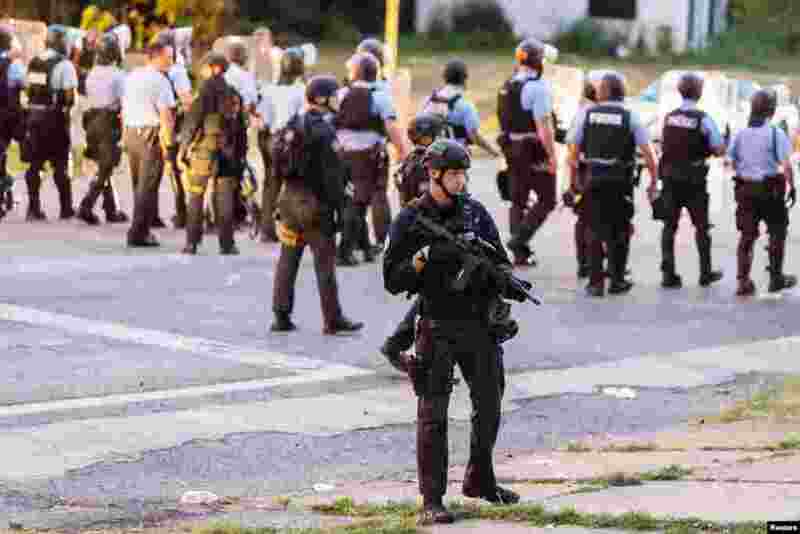 Mansur Ball-Bey, 18, was killed Wednesday in St. Louis, Missouri when he pointed a gun at two white policemen as they were serving a search warrant. Officers deployed tear gas into the crowds after a protest broke out. 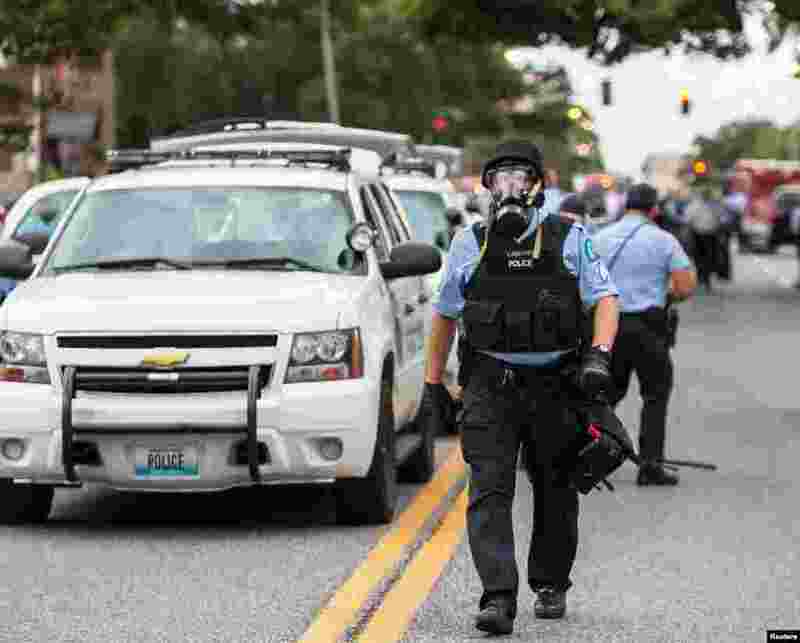 1 Police wear gas masks as they attempt to disperse a crowd that gathered after a shooting incident in St. Louis, Missouri Aug. 19, 2015. 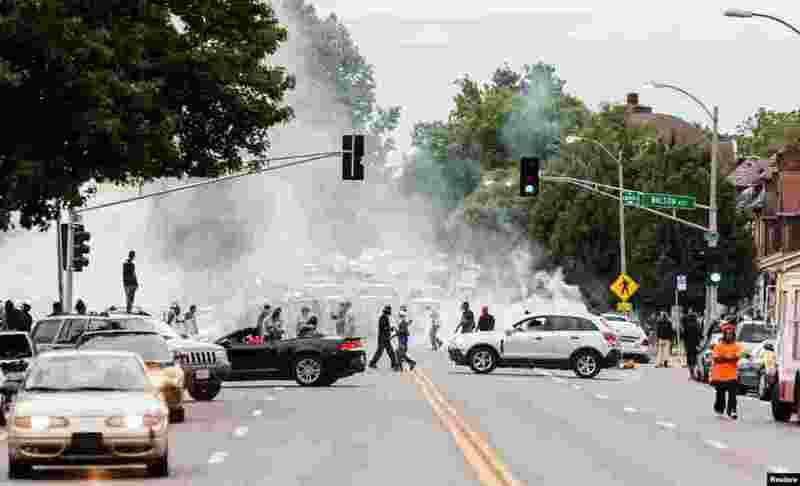 2 Tear gas rises as police attempt to disperse protesters on Page Avenue after a shooting incident in St. Louis, Aug. 19, 2015. 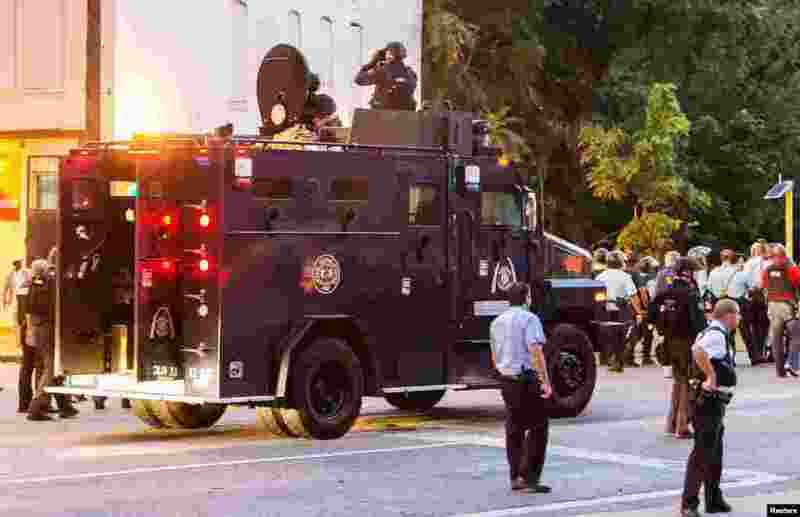 3 Police watch from an armored car as protesters gather after a shooting incident in St. Louis, Aug. 19, 2015. 4 A police line blocks protesters who gathered after a black man was shot by police, St. Louis, Aug. 19, 2015.